It was only yesterday that Commission president Juncker promised us that by 2020, all European cities and villages would be supplied with free Wi-Fi. Today, due to the complexities of copyright and its enforcement, this goal seems more unrealistic than ever. The Court has ruled that courts can issue injunctions upon the request of copyright holders that would require the operator of a free Wi-Fi to restrict network access with a password. That is not just a risk for private persons operating free Wi-Fi, but also for commercial providers or for access points run by local authorities, as foreseen by the European Commission – and it undermines their stated aims. It has been bureaucratic hurdles like this one that have stifled the roll-out of free Wi-Fi and that have recently led to the German government reforming its law with the goal of shielding providers of free Wi-Fi from liability or costs arising from copyright claims. 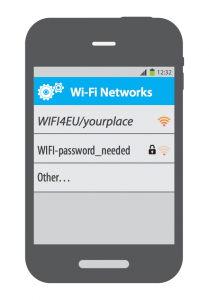 Commission President Juncker’s initiative to promote public Wi-Fi is aimed at ‘demographic groups otherwise facing difficulty in accessing connectivity, such as refugees’. The promotional materials clearly illustrate it as Wi-Fi that does not require a password for connectivity. If the free Wi-Fi is supposed to be not just free of charge, but free of barriers, then requiring a password and thus prior registration can’t be an option. This applies especially to refugees, who may be unable to prove their identity. I regret that the European Court of Justice has failed to follow the Advocate General’s opinion, who found that the obligation to secure a Wi-Fi with a password would cause a disproportionate damage to society as a whole, as it would lead to less publicly available Wi-Fi access points. The societal benefit of free Wi-Fis by far exceeds the potential risks for copyright holders. The Commission must now live up to its promise. Instead of following Commissioner Oettinger’s lead, who has just announced a copyright reform proposal that will put additional obligations on providers for them to continue to avoid liability for their users’ copyright infringements, we have to take the opposite approach. What we need is a secure legal basis for offering free, open Wi-Fi.